We hope each and every one of you have a Wonderful and Safe Holiday Season. Last edited by Ladymagyver; 12/22/17 06:10 PM. Merry Christmas to all and to all a Happy New Year! Last edited by KarenE; 12/23/17 12:45 PM. I'm running for the Christmas tree!!!! What did Santy Klaus bring me!?!?! 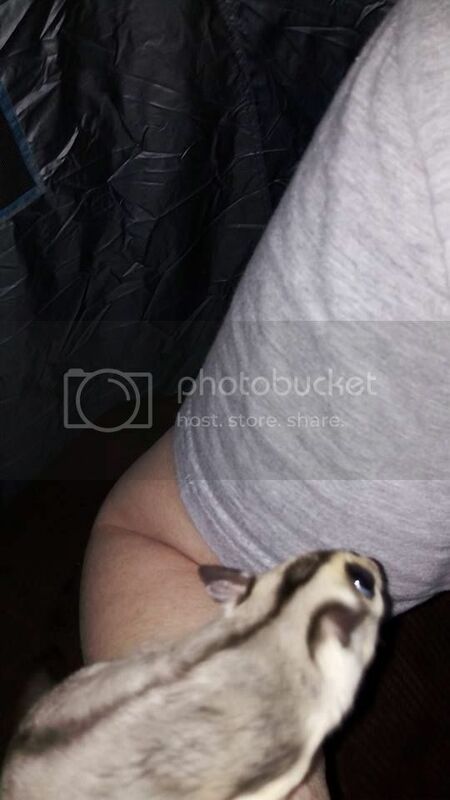 What a cute little glider!!! Merry Christmas to GC family and friends. Did anybody let their merry little monsters near the christmas tree...? Sorry, that anonymous comment was me! Somehow I was logged off and didn't know it. No Steph (lol). My babies are kept in their cage in my bedroom. Their out of cage play is limited to the area around their cage, with the door securely closed. 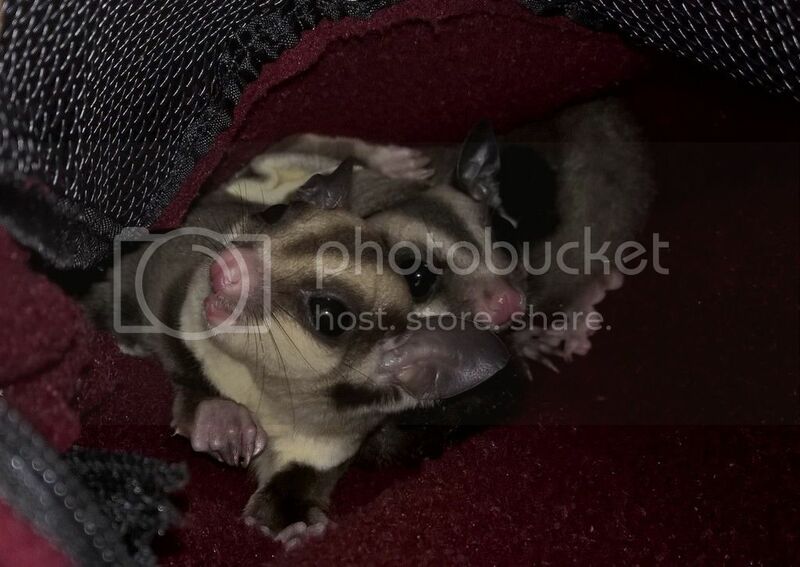 I have spent some pouch time with them downstairs, but they're in their pouch, not out and about. I'm somewhat protective of them, not wanting to risk any unfortunate incidents. They haven't even seen the Christmas tree. BTW, they did have some special Christmas treats. Each got a bit of pancake in the morning and they had their scrambled egg cheat night for dinner. Last edited by Terry; 12/26/17 12:06 PM. Oh my gosh! That pic is so cute! When I lived in Pasadena (where my little house was) I hung some ornaments from hooks on the shower curtain. 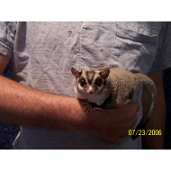 My gliders, especially Skadoosh was fascinated by them. I wish photo bucket was still free, I have so many cute pics of them during out of cage play in that bathroom, including Christmas pics. 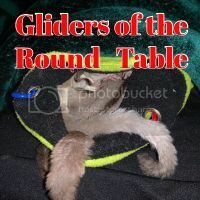 May 2018 be awesome for all the gliders and their caregivers!